"This type of data set has never been released before," said Nita Bharti, assistant professor of biology at Penn State and lead author of the paper. 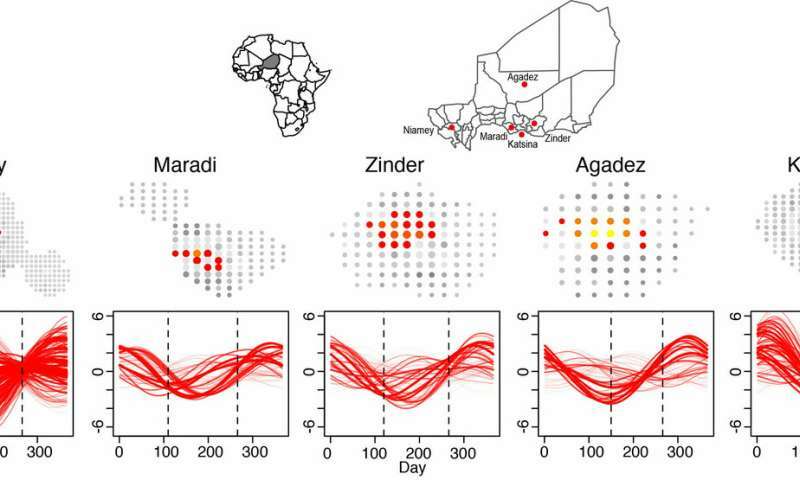 "We initially used it to track seasonal changes in population sizes to help vaccination campaigns achieve higher coverage levels in areas where diseases like measles still pose a large threat. We later received a lot of inquiries for access to these data from researchers in diverse fields. The data and associated code in 'R'—an open-source statistical computing software—are now openly available on 'ScholarSphere,' Penn State's open-access, online data repository." The data originate from the Defense Meteorological Satellite Program (DMSP), which is a U.S. Department of Defense program run by the Air Force Space Command that is largely focused on cloud and other meteorological observations. The DMSP satellites capture thermal infrared images, which are used to study cloud cover, and visual images of the earth. Photographs are taken daily during the day and at night. 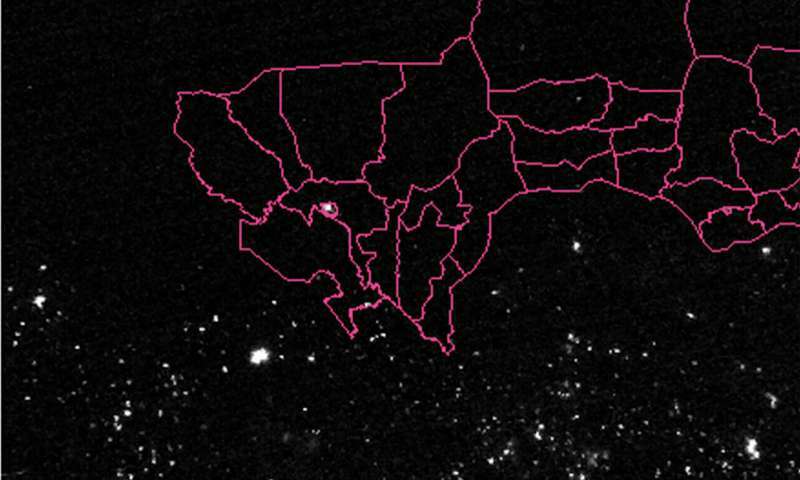 By choosing only nighttime images, researchers can measure anthropogenic—related to human activity—light to address a variety of research questions.